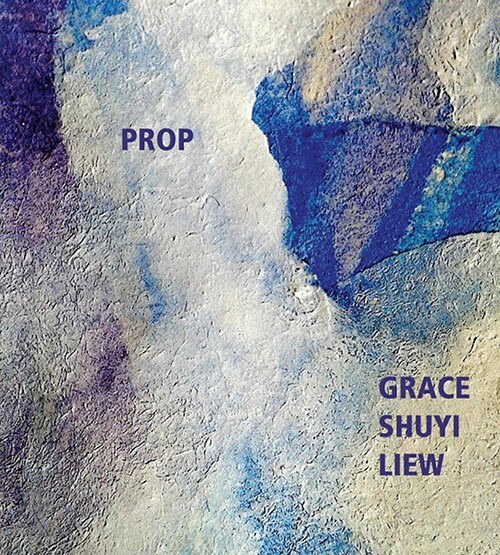 The epigraph of Liew’s chapbook, chosen by Kerri Webster for Ahsahta’s 2015 Chapbook Prize, is “A factual account of sisters,” and that can be argued practically word by word. That said, for those cultivating off-menu tastes, Prop will lead you to ruthless and luminous places. The established space is “a cosmogony” that “erases the mark of time bit by bit until all vastness is equalized,” the city limits of which can feel like those of an episode of Carl Sagan’s Cosmos. (And what besides an animal has a tail but a meteor?) In fact, while reading Prop, the phrase “ontogeny recapitulates phylogeny” kept returning to me. For those who went to high school in the 21st century, let me explain. 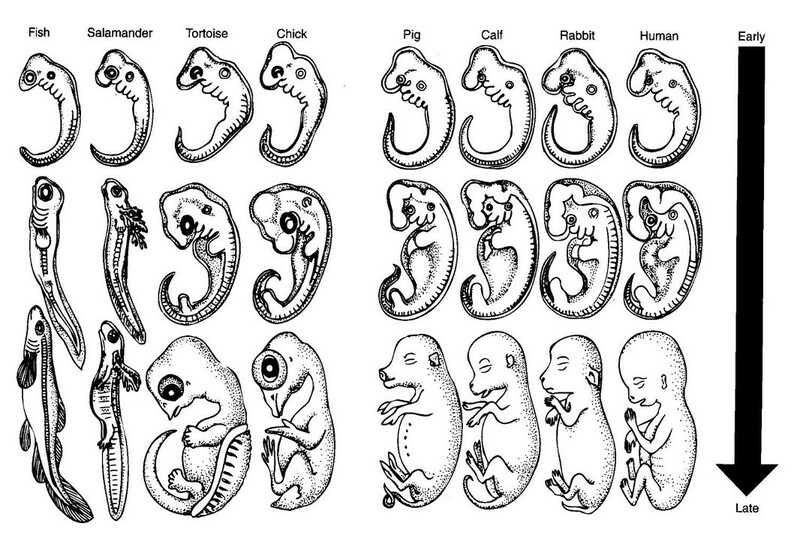 It is the name of a debunked theory once taught in Biology class, based on the hypothesis that while developing from embryo to adult, animals go through stages that replay their own species’ evolution. While this theory has been applied to several fields, such as the origin of language, religion, and cognition, it is no longer taught as hard science in properly funded schoolrooms where musty texts have been replaced. Prop may well bring it back into fashion; the book feels like ground zero for etymological development from ex nihilo glint to institutionalized being. Spoiler alert for all humanity, the journey is not a smooth one. “Who were you / and how can I find you now?” asks the speaker of the collection’s prefatory poem. It is with formal use of the lyric sequence that the reader is sent seeking. The lyric sequence allows distinct passages in Prop — some visceral, some political, some constructed and lineated sparely, others in propulsive blocks — to interact as a circulating whole. The sequences move; they are nimble and energetic. The first half of the book feels almost like a cinematic tracking shot as the journey of the shared-tailed sisters, skirt billowing, holds and redirects through caves and suburbia (or worse! ), shifting the palette through multiple emotional centers. Look at your face. Look at your face. Look at your face. Look at your face. Look at your face. Don’t let me drift away, please. Scavenge a rubbish mound a little. longed for thoroughly to the core. From here, Prop is off again, propelled by its varying forms, engaged in as much dissimilation as its characters. Ancient western mythologies are “spat out,” and planets are named, thereby “spoiling their constitutions” as recapitulation gets underway. Even the reader is an interloper to the sisters’ sovereignty, condemned for lurking on the page and imposing meaning. All the stories — or “factual accounts” — that prop us up are on the chopping block. Poetry of the head and not the heart is tricky, but I admire Liew’s choice. Rational discourse sparks the tension. This eagerness to mean pressurizes the highly illogical milieu, and ignites the contrast between these and other registers. Liew also leverages the interrogative sentence to provide linguistic reaches. Questions range from accusations — “What are you in danger of losing?” and “How long do you need to keep on this rummaging?” — to plaints: “How damp are the nights up there?” and “What if you wish to write the fragrance out of your body?” They struck me as both confrontational and moving in equal measure. Eventually, this storm winds to a terrifying eye. The lyric sequence fulfills its tragic/epic function with the introduction of a creator. What follows is a devastating indentured servitude for the sister(s) in a realm a little closer to earth. In the penultimate sequence, previous questions are eclipsed by a barrage of coarser who-what-when-wheres. “Every discarded myth bounded up her wrists,” we are warned at the book’s beginning, and in fact the weight of many worlds is now worn literally on the sleeve — it’s affecting. 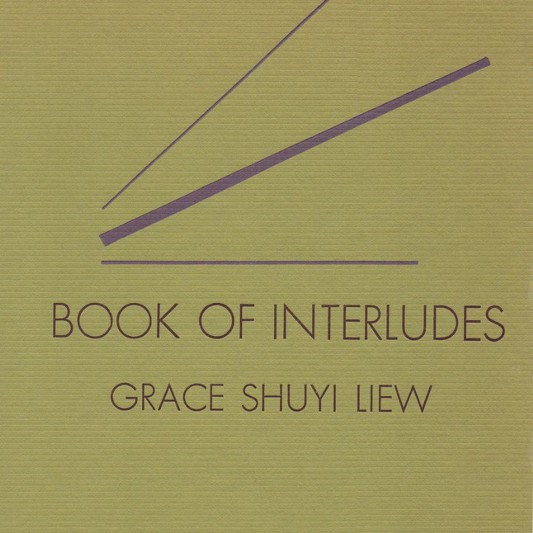 Liew is also the author of the chapbook Book of Interludes(Anomalous Press, 2016). There is a world between it and Prop. Book of Interludes is preoccupied with the body — the body is an assemblage of parts, a carapace, an infiltration system — and poems are richly populated with physical obstacles, from New York City turnstiles to an infected lip. The difference informs Prop, seemingly showing the problematic aftermath of body-hood. A prop is, finally, something that supports or sustains but is void of its own meaning. It is an accessory in a play — all thingness and no luminescence, in service to something that needs steadying — that needs something like a tail. Song of Myself is not part of the lineage of Prop; it is part of a Western poetic tradition that Prop eschews. However, it is, like Prop, a lyric sequence, and the comparisons are intriguing. 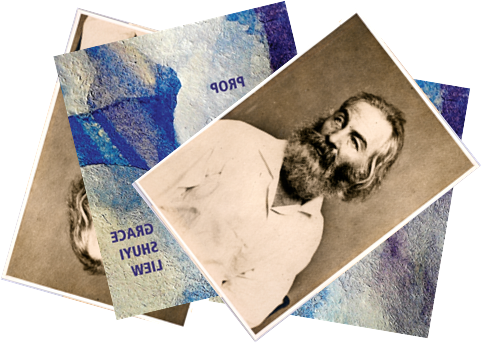 While Walt Whitman sings a unifying song of the self, Grace Shuyi Liew’s song unravels it. GSL: What if you wish to write the fragrance out of your body? WW: Have you felt so proud to get at the meaning of poems? GSL: Side-eye the pliant white of this page.